It was the series that brought the world of medicine to the small screen, and for 15 years, ER had viewers hooked to see what would happen week on week at General County Hospital. While not all actors on the show remained a leading character for the complete 15 seasons, their appearance had a huge impact on their career. They stole our hearts while acting on fixing others, but nine years following the end of the final season, where are all the actors that made the show we all know and love? Here is a look at where some of our favorite doctors and nurses are now. When Dr. John Carter was introduced on the show as a medical student, he was the youngest cast member at the time. He went through many ups and downs during his time as a doctor, including a fatal stabbing by a schizophrenic patient. Wyle’s breakthrough role came when he was cast in ER, and he became the only leading cast member from the show to have been there since it began in 1994, and to remain until 2005 after its eleventh season. During the tenth season, he became the highest paid TV drama actor per episode earning approximately $400,000 per episode. 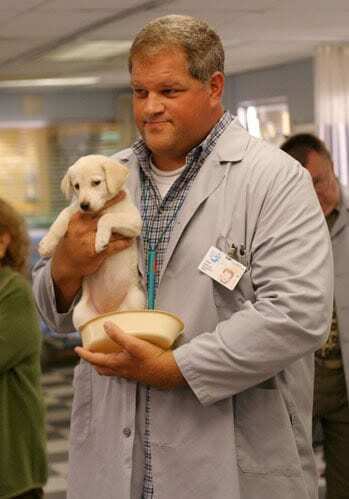 While he made several appearances in ER during its twelfth and fifteenth series, he left the show to focus on his family. He has been married twice and has three children. 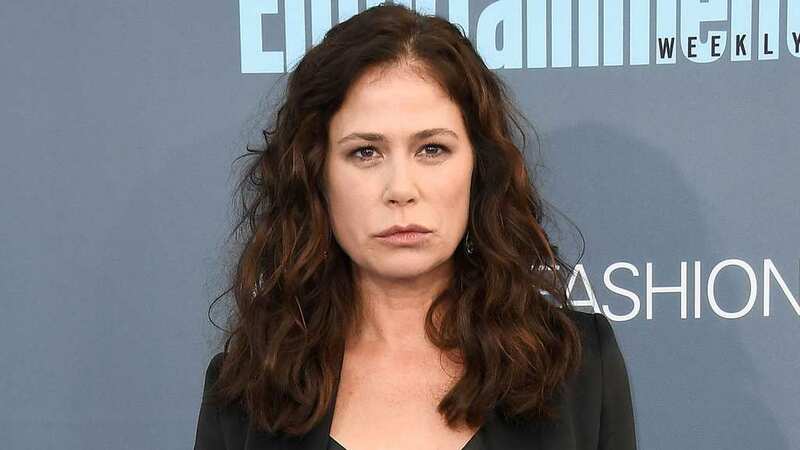 Maura Tierney is best known for her role as Abigail Lockhart in the hit medical drama. She appeared in the series from 1999 to 2008, having started as a guest cast member, to then becoming a full-time regular in 2000. After completing medical school, Abby went from an ER nurse to a doctor while on the show. Having had troubles with alcohol in her past, Abby tries to remain sober but has difficulties doing so and this consequently affects her marriage with Dr. Luka Kovač, with whom she shares a son with. 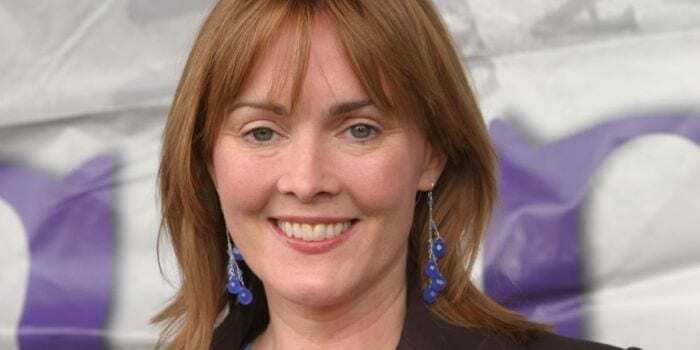 Tierney left ER shortly after the beginning of the fifteenth series and made her final appearance in October 2008. She has since gone on to play Helen Solloway on the television drama, The Affair which first aired in October 2014. The series has so far had three seasons, and Tierney won the Golden Globe Award in 2016 for Best Supporting Actress – Series, Miniseries or Television Film. Maura was also married to actor and director Billy Morrissette, but the pair divorced in 2006 after 13 years of marriage. 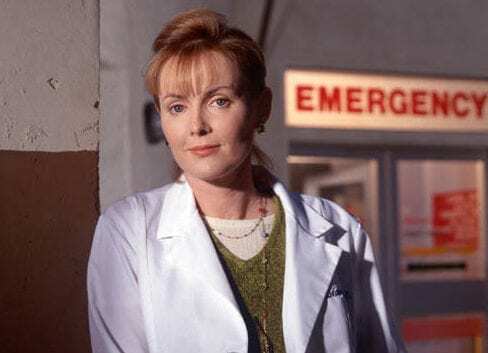 Innes joined the cast of ER in the fall of 1995, where she took on the role of Dr. Kerry Weaver. Weaver suffered from a physical disability and she was a stern doctor who took no nonsense from anyone. Having become a series regular from the start of the third series, Weaver became Chief of Emergency Medicine and finally Hospital Chief of Staff. This often meant she had to make tough decisions which drew hostility from her co-workers, but if anyone could handle it, it was Weaver. When Innes left ER in 2007, she had become the longest-serving cast member on the show. Her role on the show won her multiple award nominations, including two Emmy Awards. Aside from acting, Innes directed several episodes for ER, as well as, for Brothers & Sisters, Studio 60 on the Sunset Strip, House and The West Wing, which earned her another Emmy Award nomination. She also filmed alongside her co-star Noah Wayle in the film, Can’t Stop Dancing, and she co-starred in the blockbuster film, Deep Impact. 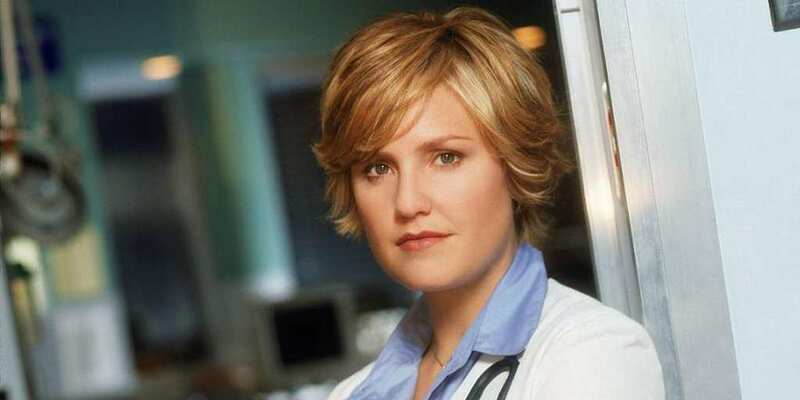 Sherry Stringfield began playing Dr. Susan Lewis at the start of ER’s first season. Lewis is good friends with Dr. Mark Greene, and the pair would often confide in one another regarding their personal problems. While Lewis was often dealing with a lot of stress, her biggest burden of all came when her older sister Chloe leaves Chicago and abandons her baby “little Susie.” It then all gets too much for Susan who struggles to look after the baby while trying to work her residency at the same time. Stringfield had signed a five-year contract with ER when she was cast for the role, but she quit after the third season to escape the grueling schedule. It caused many issues for the show, especially since her role on the show was highly successful and her exit brought in 37 million viewers. 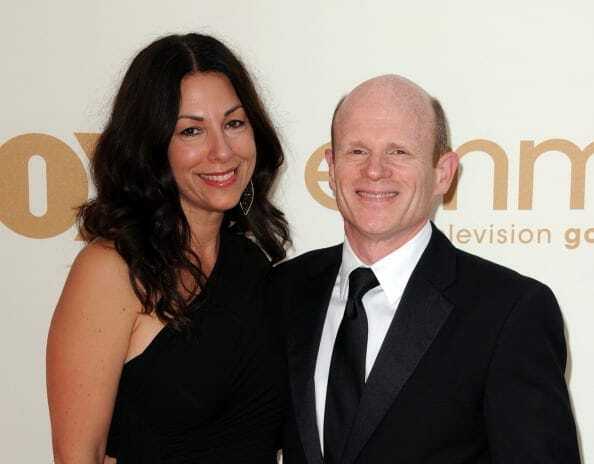 Executives often asked her to reprise the role, and she eventually decided to return during the eighth season after the birth of her daughter. She also had recurring roles in NYPD Blue and Guiding Light. 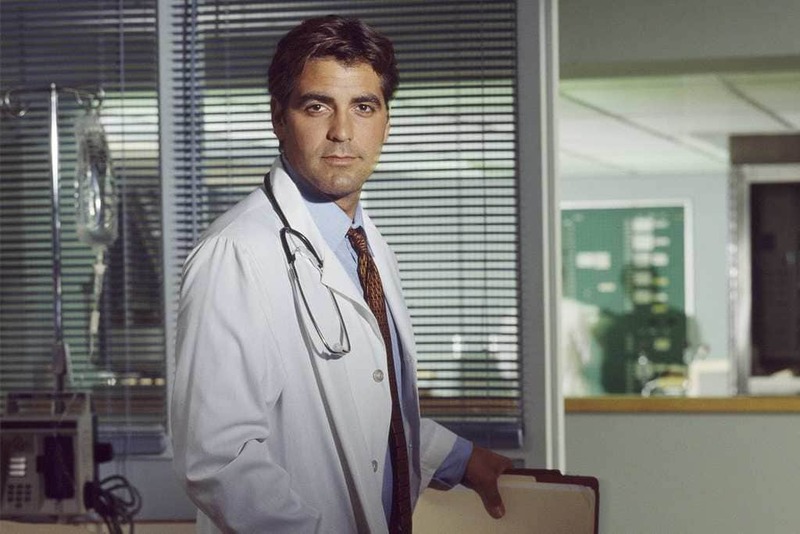 Of course, the name George Clooney will ring a bell, but did you know Clooney’s first big role was playing Dr. Doug Ross on the medical drama? 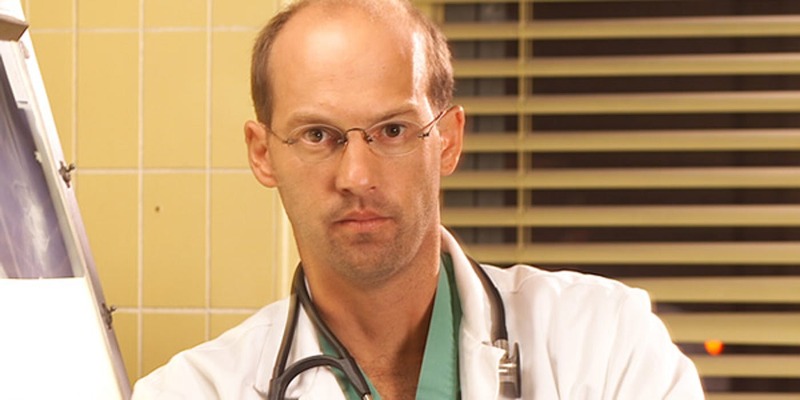 From 1994-1999 Ross was a dedicated ER pediatrician who would break the rules and suffer the consequences if it meant helping his patients in any way he good. Although known to be quite the womanizer, Ross eventually embarks on a secret relationship with the head nurse, Carol Hathaway and the couple eventually welcome twins together. After gaining wide recognition for his role on ER, Clooney has become an Academy Award-winning actor and the only actor to be nominated for Academy Awards in six different categories during his career. He is well known for starring in films such as Syriana, Ocean’s Eleven, The Descendants, and Good Night, and Good Luck. 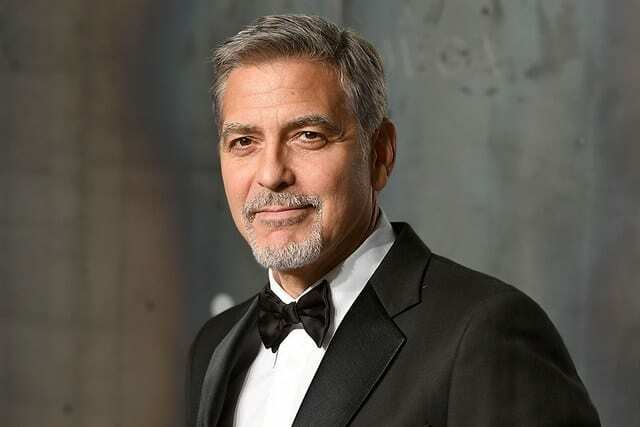 In 2015, Clooney was awarded the Golden Globe Cecil B. DeMille Lifetime Achievement Award, and he is set to receive the 2018 AFI Life Achievement Award. He also is father to twins in real-life named Alexander and Ella. Laura joined the supporting cast of ER near the end of the first season as Nurse “Chuny” Marquez. While she may have only had a supporting role as one of the nurses, Laura was one of the six actors from the show that appeared in every season in ER till its final episode in April 2009. 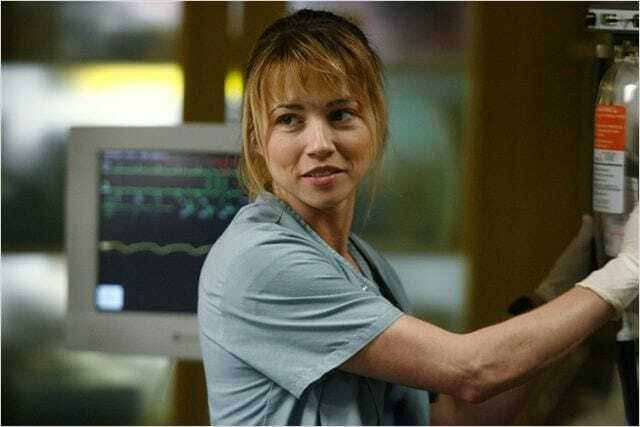 During her time in the ER, she embarked on a relationship with Dr. Mark Greene during season 3, as well as, Dr. Luka Kovač in season 9, until things got complicated between the pair. 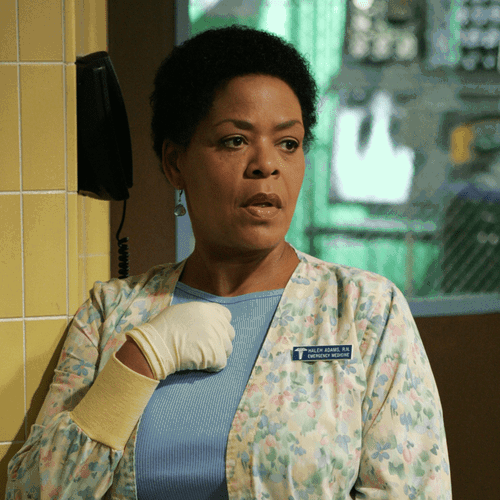 The Alma Award-winning actress has not had any major roles since her time on ER playing Nurse “Chuny” Marquez, but she did guest star in Strong Medicine in 2004. The same year in which ER came to an end, the Mexican born actress starred in Bring It On: Fight To the Finish which was the fifth installment of the film, and she filmed alongside fellow actress and singer, Christina Millian. She also had roles in CSI: Miami and The Unit. 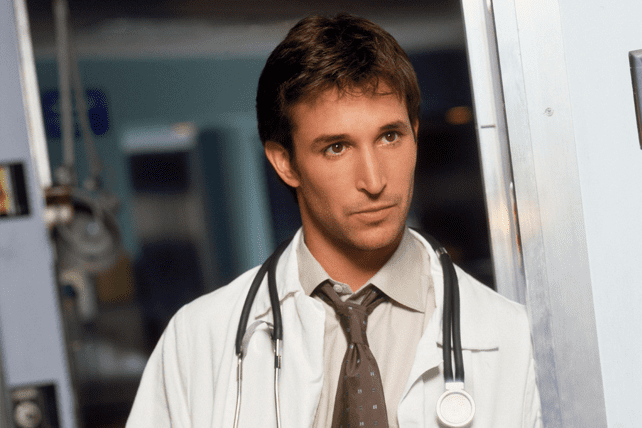 After the departure of Dr. Doug Ross during season five, Dr. Luka Kovač joined the staff at County General at the beginning of season six. 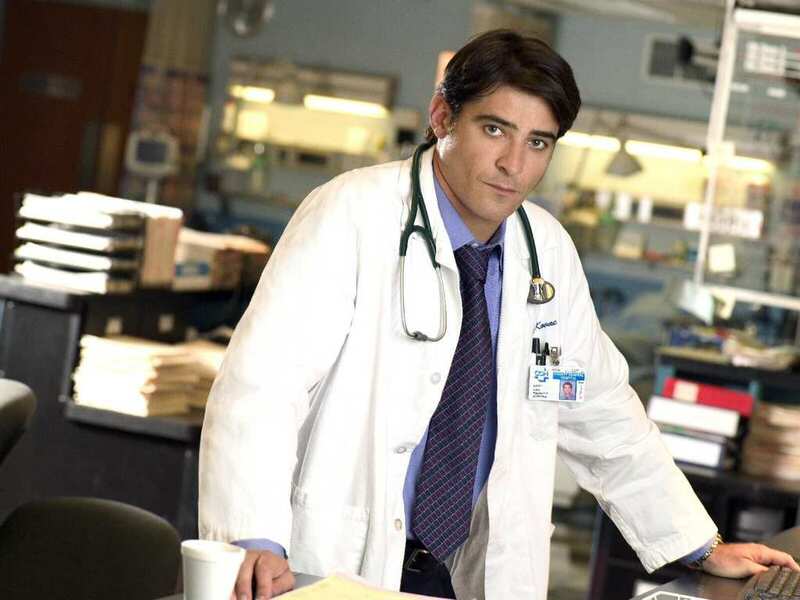 Played by Goran Visnjic, Kovač is an emergency room attending physician from Croatia. He begins a romantic relationship with Carol Hathaway but then begins teaching medical student Nurse Abby Lockhart, of whom he eventually marries and has a child with. He had been married before and had two children with his former wife, but his whole family sadly passed away during the Croatian War of Independence. 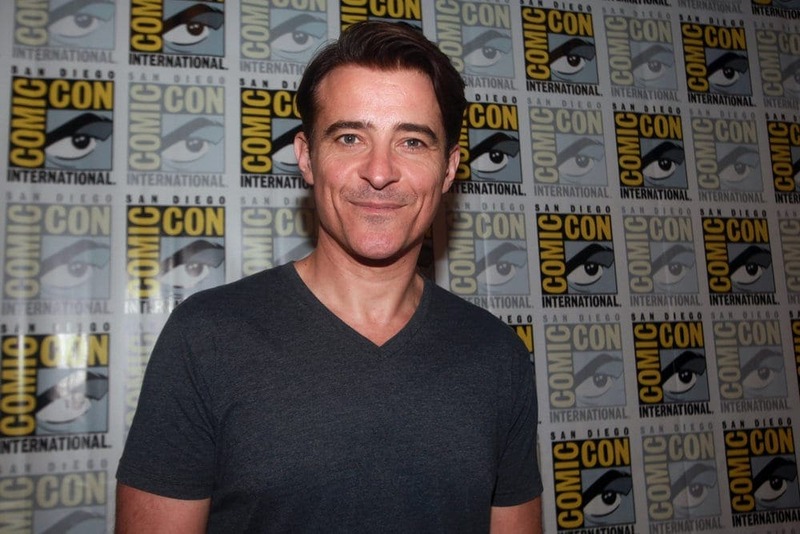 Višnjić was one of the four finalists to be considered to play the role of James Bond but lost out on the role to Daniel Craig. He filmed alongside the Bond actor, however, in the film The Girl with the Dragon Tattoo, and he was signed onto play Dragan Armansky for the entire film trilogy. In 2015, he took on the lead role in Crossing Lines for the third season, where he played Marco Constante. He is currently portraying the role of former NSA, Garcia Flynn, in NBC’s Timeless. 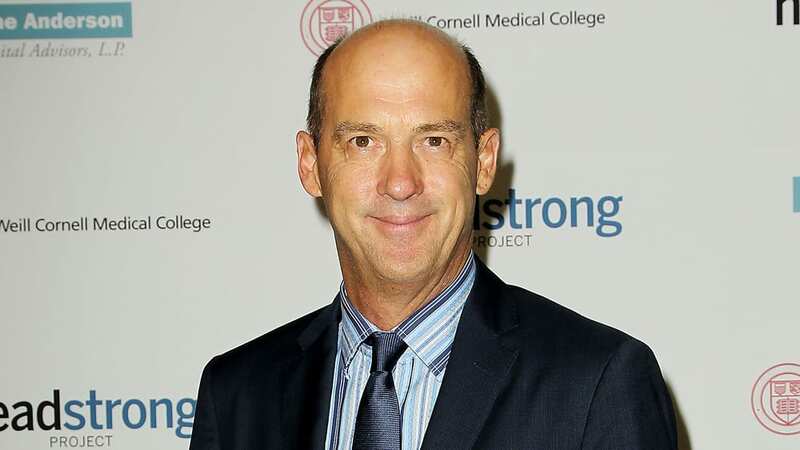 Edwards won himself a Golden Globe Award for his portrayal as Dr. Mark Greene and starred in the medical season for the first eight series. Greene was considered the leading original character on the show, and his departure marked a big turn in the series. Greene sadly died at the end of season eight after suffering from brain cancer. 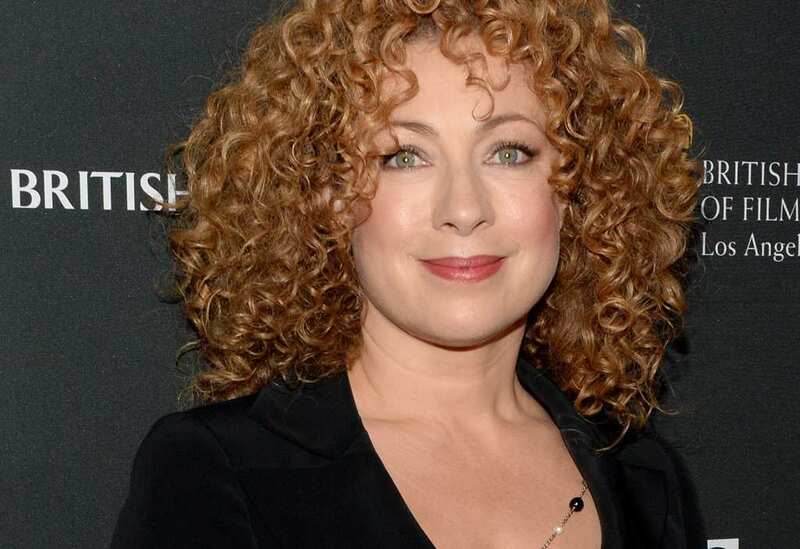 Before his death, he was married to fellow doctor, Elizabeth Corday with whom he had a daughter named Ella. He also had a daughter named Rachel, from his previous marriage. Edwards has appeared in movies and television shows such as Top Gun, Zodiac, Miracle Mile, Planes, and Northern Exposure. However, while he has proved to have great success during his acting career, his decision to appear in the movie Motherhood, was perhaps one of his most regretful decisions. The movie set the record for being the biggest flop in British theater history, selling only 11 tickets in its opening weekend. Edwards had a recurring role playing Judge Stanley Weisberg on Law & Order True Crime: The Menendez Murders. Margulies starred as Carol Hathaway on the NBC drama, and her role won her an Emmy Award. Hathaway attempted suicide and was meant to die, but producers changed the plot to keep Hathaway as a main cast member. During her six seasons on the series, Carol embarks in a relationship with Dr. Doug Ross, until he decides to take a job offer in Seattle. Unbeknown to Ross when he leaves, Carol is pregnant with twins at the time and gives birth to two daughters. From 2009 until 2016, Margulies played the role of Alicia Florrick in the CBS legal drama, The Good Wife. 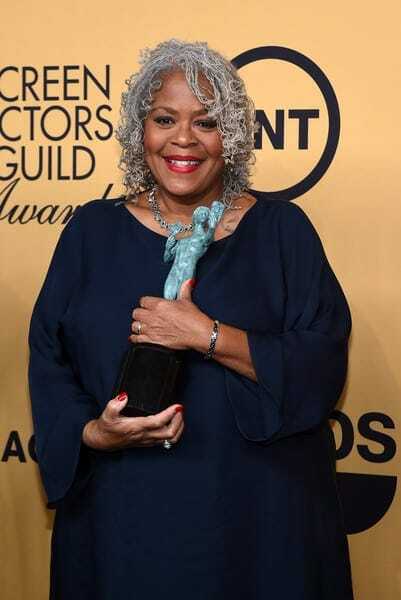 Her performance on the series won her the Primetime Emmy Award for Outstanding Lead Actress in a Drama Series twice, a Golden Globe, and a Television Critics Association Award. During her career, she has also won eight Screen Actor Guild Awards, making her the second most awarded woman ever within SAG after Julia Louis-Dreyfus, and she was awarded a star on the Hollywood Walk of Fame. Neela Rasgota arrived at General County in 2003, during the tenth season of the series, and eventually became the leading character in the final season. The Yale-educated Anglo-Indian medical student was linked to Tony Gates, Simon Brenner, and Ray Barnett while working in the ER. Neela and Ray were originally roommates, but romantic feelings between the pair started to grow. When Neela eventually decides to leave General County, she arrives at Le Chatelier Medical Center in Baton Rouge, Louisiana, where she is reunited with Ray. 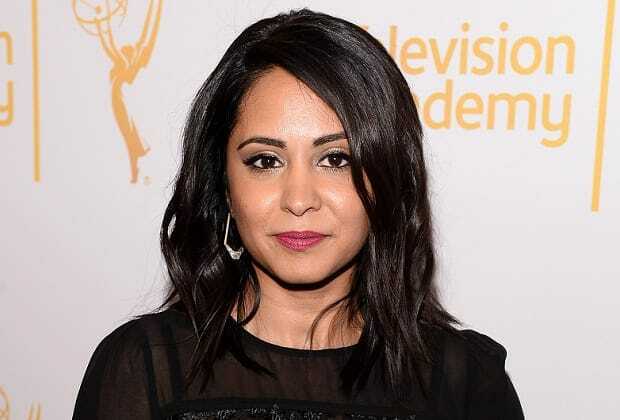 Parminder Nagra is well-known for playing Jess in the 2002 film, Bend It Like Beckham, which also helped her win the role as Dr. Neela Rasgotra the following year. She has since been cast to play Meera Malik in NBC’s crime drama, The Blacklist, and had a recurring role as Ellen Nadeer in Agents of S.H.I.E.L.D. In 2009, Nagra married photographer James Stenson, and her former ER co-star, Maura Tierney, officiated the wedding. The couple had a son together but later divorced in 2013. 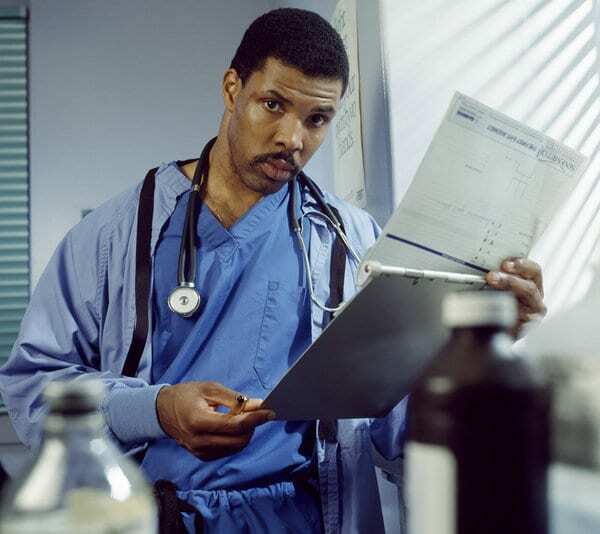 Dr. Peter Benton was one of the original doctors on ER and stayed on the medical drama till the eighth season, but made a return during the final season for two episodes. The talented surgeon was seen giving a hard time to his medical student, John Carter, but the pair later developed a close bond. Benton also became involved with a former girlfriend who fell pregnant and gave birth to their premature child. It was then found that their son, Reese was deaf due to complications from his prematurity. Aside from ER, La Salle is best known for his roles in films such as Coming to America, One Hour Photo, and the 2017 film, Logan. He also filmed alongside his ER co-star and love interest from the medical drama, Michael Michelle in the Hallmark Channel original movie, Relative Stranger in 2009. 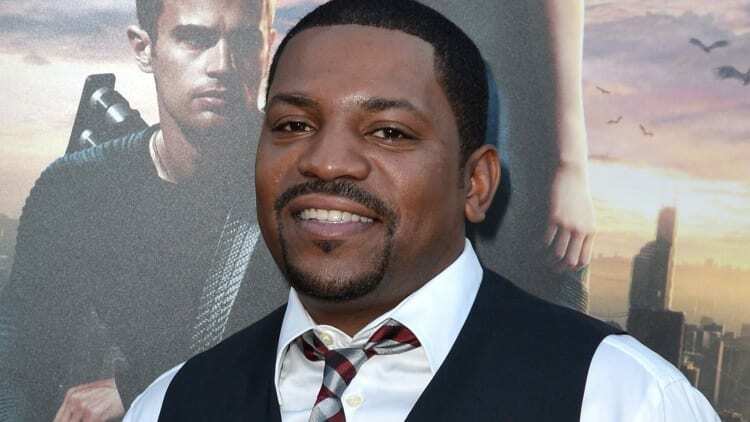 As well as being an actor, La Salle has worked as a director, making his directorial debut in the HBO made-for-TV movie, Rebound: The Legend of Earl “The Goat” Manigault. Kingston appeared as Dr. Elizabeth Corday on the premiere of the fourth season in 1997, which was, in fact, an award-winning live episode. 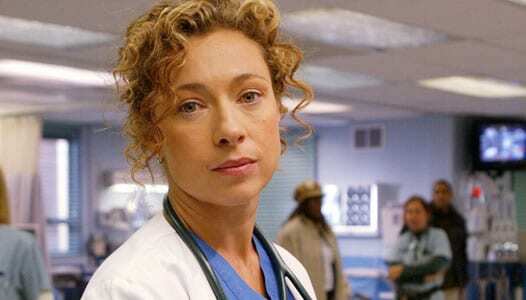 Corday was a British surgeon who moved to Chicago to gain experience in trauma surgery, as she came from a family of surgeons. Corday begins dating Dr. Mark Greene in season five, but she has a tumultuous relationship with his daughter Rachel from his former marriage. Tensions rose after Rachel brought illicit substances into their home and their young baby, Ella accidentally swallowed them. After her time on ER, which ended in 2004 because her contract was not renewed, the British actress had become a famous face in North America. Kingston continued to work in television, and she has guest starred on shows such as Without a Trace, CSI: Crime Scene Investigation, Law & Order: Special Victims Unit, Arrow, and in several episodes of the British hit series, Doctor Who. She has been married three times, and she shares a daughter with her second husband named Salome Violetta Haertel. Dr. Gregory Pratt was a strong feature at County General Hospital for six years, but his untimely death after he was involved in an ambulance explosion, led to his departure. Before his death, he was set to propose to his girlfriend, Bettina, and Pratt was going to receive an offer to become the new Chief of the ER. The shock of his death had a serious impact on the rest of the ER staff, especially Dr. Archie Morris who tried to save his friend’s life in his final few moments. 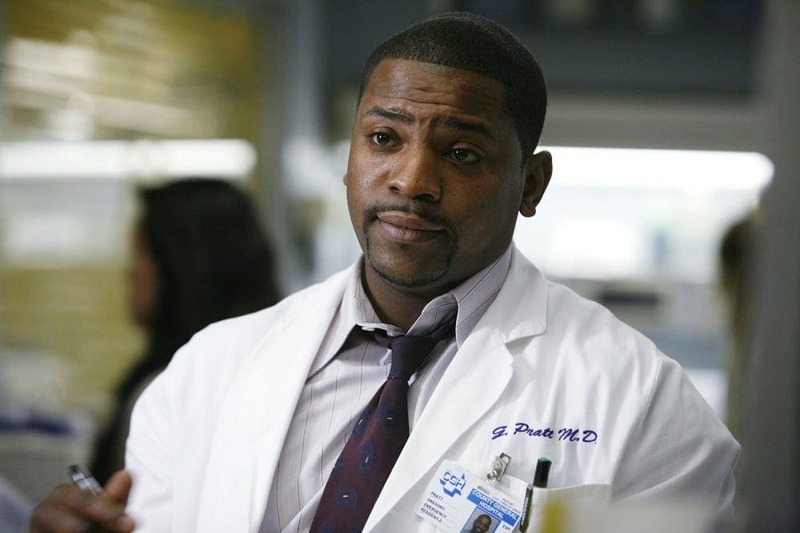 Aside from ER, Phifer has appeared on television shows such as White Collar, Lie to Me, Torchwood: Miracle Day, and, he most recently became a series regular on the show, Frequency. As for films, Phifer filmed alongside Eminem in 8 Mile and also starred in films such as Honey, Divergent (and its sequel and prequel), A Day Late and a Dollar Short, and Chocolate City: Vegas Strip. He has been married twice, and he has a son from both marriages. He has been married to his second wife Reshelet Barnes since 2013. Dr. Archie Morris came to General County to offer some comic relief in what should be considered a serious environment. The second-year resident joined the hospital staff in 2003 but was the one staff member who liked to avoid work when possible. However, his neglect of patients ultimately results in the tragic death of one of his patients, and Morris then quitting the ER. Nevertheless, Archie returned the next day saying his father would not financially support him if he didn’t see this “thing” through. 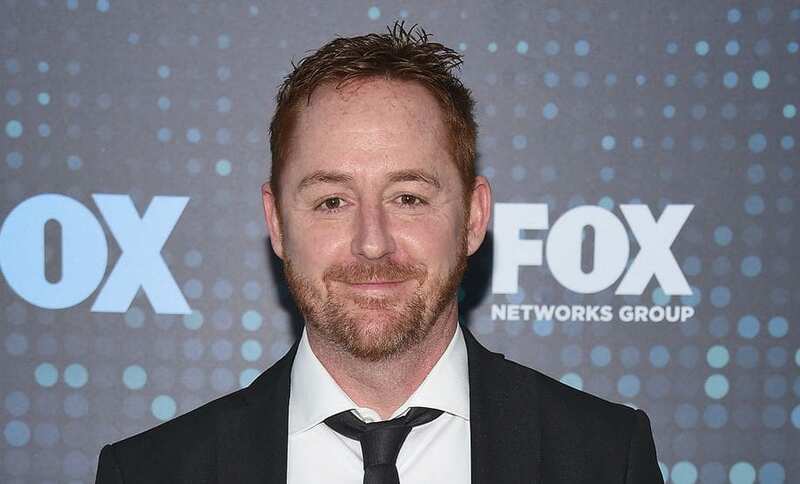 Scott Grimes has appeared on television shows such as Suits, Criminal Minds, Shameless, and Law & Order: Special Victims Unit. He also voiced several roles on the animation, Family Guy, and most recently became a regular cast member in the Fox series, The Orville. He is also known for co-writing and performing the rock single, “Sunset Blvd” which made it into the Billboard charts for several weeks. Grimes has been married twice, having got divorced from his second wife in October 2017, and has two children. 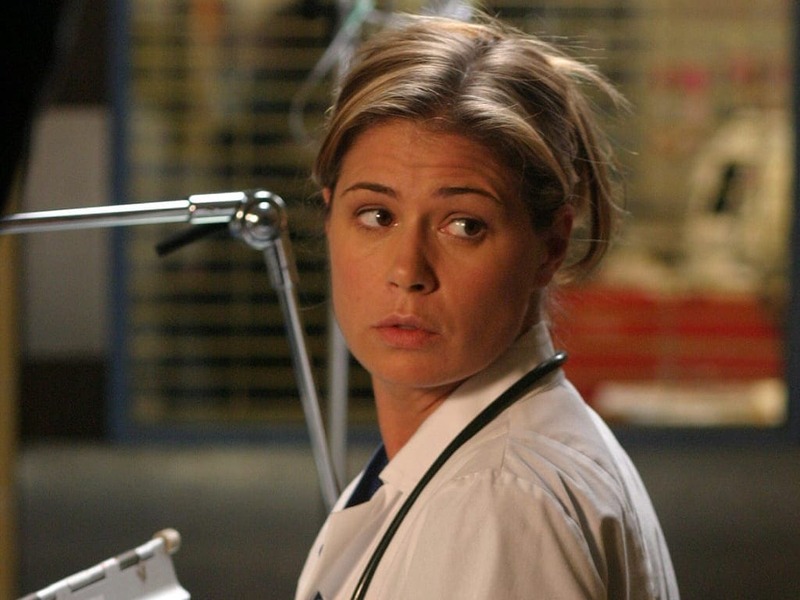 Sam Taggart was the experienced and talented nurse who takes Abby Lockhart’s position as the head nurse when she becomes a doctor. Sam is also a single mother having had her son Alex when she was just 15 years old. Alex gets involved in a bad car crash during a snowstorm, which results in him being seriously injured. This causes a rift between Sam and her boyfriend and co-worker, Dr. Tony Gates since it was Tony who allowed Alex to go out that evening despite Sam’s objection. Cardellini appeared in the Scooby-Doo feature films as Velma Dinkley, as well as, Cassie in Brokeback Mountain. She most recently starred as Meg Rayburn in the Netflix original series, Bloodline, and also starred as Sylvia Rosen, Don Draper’s love interest, in the drama series Mad Men. Her role in Mad Men won the actress an Emmy nomination for Outstanding Guest Actress in a Drama Series. Cardellini dated her Freaks and Geeks co-star Jason Segal for five years following the end of the show. Haleh Adams featured in every season during the 15 years ER was on the air. Played by Yvette Freeman, Adams was a confident and skilled nurse and a prominent feature in General County Hospital. She took no nonsense from anyone and, as her co-worker Dr. Susan Lewis once proclaimed to a fellow staff member, “Haleh has been here longer than anyone- she knows what she’s talking about.” She was, however, fired twice, but returned to the ER when an airplane exploded over the city and County was short on nurses. From 1997 to 1999, and while still working on ER, Yvette Adams was a series regular on the NBC sitcom, Working. Since the end of the medical drama, the actress has had recurring roles on the daytime soap operas, Days of Our Lives and The Bold and the Beautiful. She has also guest starred on CSI: Crime Scene Investigation and Boston Public, as well as, having a recurring role playing Irma in the hit Netflix comedy-drama series, Orange is the New Black. Dr. Ray Barnett was a talented doctor but he was always conflicted between medicine and his other love, music. He was in a rock band, and at one stage left the ER to go tour with the band. Unbeknownst to the doctor, his bandmates had decided to kick him out of the group, believing he was too focused on being a doctor. As a result he returned to County General. While on a drunken night out, he gets hit by a truck and consequently has both his legs amputated. 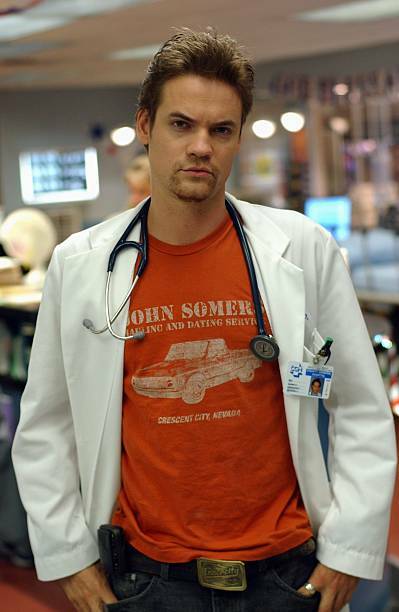 Just like his character in ER, West also has a passion for music, and in 2005 it was announced he would be fronting “Germs” on tour. He said that going on tour was “more exciting” than acting, but after he won the leading role in Nikita, he had less time for the band. West starred in the CW spy drama Nikita from 2010 until 2013 and was one of the leading characters on the show throughout. 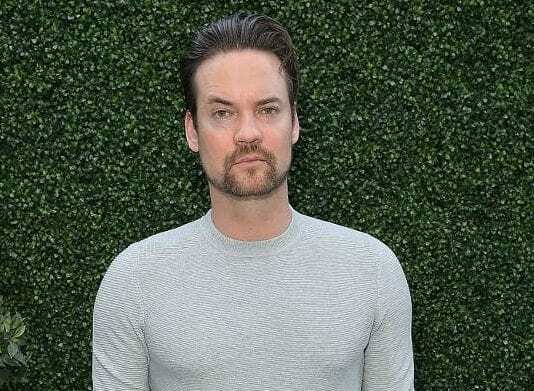 From 2014, he starred in the fantasy drama, Salem, where he played the role of John Alden. Gloria Reuben’s character, Jeanie Boulet, first appeared at County General midway through the first season and then became a series regular from season 2. Boulet was a leading character up until the sixth season, and while on the show, her character becomes HIV positive. This storyline meant that Jeanie was one of the only regular characters in American television history to contract the disease and not be written off by writers. Rather, viewers watched how she dealt with having HIV and being a doctor at the same time. Following her role on ER, Reuben became an HIV/Aid activist. She also continued to act on television and had a major role as FBI agent Brooke Haslett in 1-800-Missing in 2003. She had guest starred in NBC’s Law & Order: Special Victims Unit and appeared in the TV movie, Jesse Stone: Benefit of the Doubt. In 2012, she won critical praise for her portrayal as Elizabeth Keckley in Steven Spielberg’s historical drama film, Lincoln, and appeared in the series Falling Skies in 2013. Jerry Markovic was the desk clerk of the emergency room and later promoted to supervising emergency services coordinator. He was the character who would provide the most comic relief to the series and was constantly playing jokes on other staff members. Jerry left at the end of season 5, without any explanation at all, not even from Abraham himself. However, in season 8 he made his return after being called back when the members of the staff became sick, and they needed extra help. 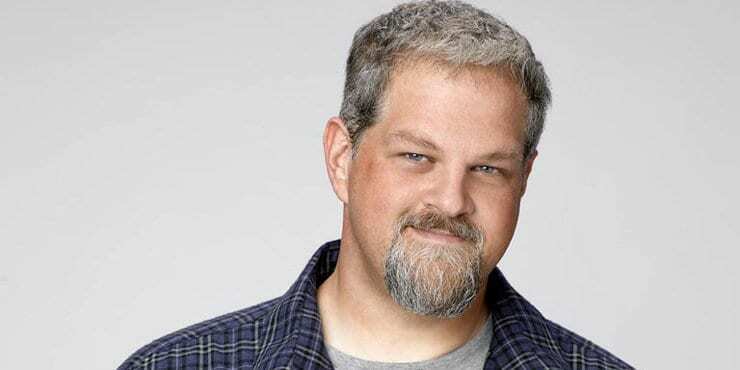 Benrubi appeared in the final season of ER and continued to act following the end of the show. He starred in the ABC show, Happy Town which lasted a minor three months, and then went onto appear in Memphis Bear, playing police Sgt. Jody “JC” Lightfoot. In 2011, it as announced that he would star in Glutton, a film directed by David Arquette, and considered a “3D psychological thriller.” Benrubi played Jethro, a 1,200-pound man who is forced to save his sister’s life, played by Patricia Arquette. Although she tried to prove herself time and time again, with Carter giving her a helping hand, things took a turn for the worse when a patient with schizophrenia stabbed her. Lucy had picked up on his mental problems, but when she tells Carter, he chooses to ignore her. This resulted in both of them getting stabbed, but Lucy did not survive. It was agreed with producers and Kellie herself that Lucy was just not working on the show, and the decision was made to write her out of the show. After being killed off of ER in season 6, Kellie starred in the Hallmark Channel movie, Mystery Woman, and went onto making ten more Mystery Woman movies for Hallmark between 2005 and 2007. She also had a supporting role in the comedic film, Malibu’s Most Wanted and played police officer Kimberly Leahy in seven episodes of the TBS comedy series, The Guest Book. 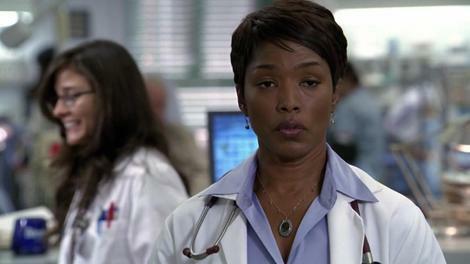 Bassett played Dr. Catherine Banfield, an exacting Chief of the ER who joined in the final season in 2008. She starred alongside her real-life husband, Courtney Vance who played her on-screen television husband, Russell Banfield on the show. While her story remained mysterious to begin with, it was later discovered that Banfield was recovering from the death of her son, who died in County General years prior. She and her husband were hoping to bring another child into their family. 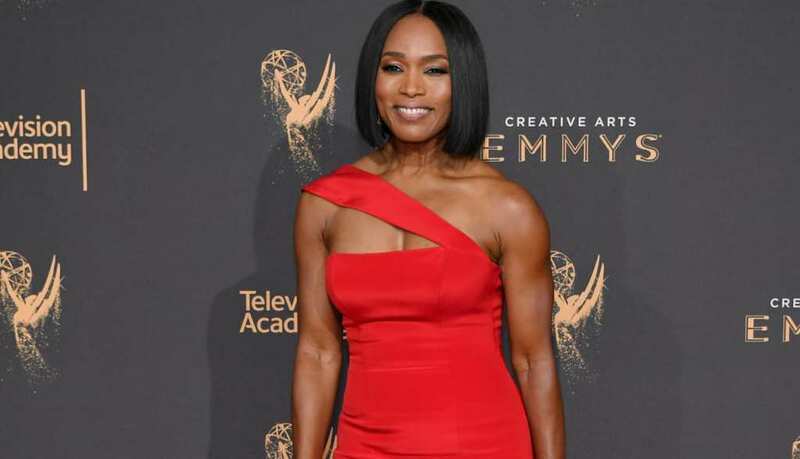 Bassett is an Academy Award nominating actress, and has also won a Golden Globe Award for her role in the 1993 Tina Turner biopic, What’s Love Got to Do with It. She also starred as Rosa Parks in the 2002 film, The Rosa Parks Story for which she was honored her first Primetime Emmy Award nomination. Since leaving ER, she has also set her sights on directing, and she made her directorial debut with Whitney, a TV film based on the life of Whitney Houston. 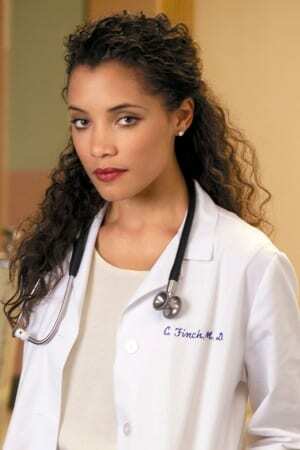 Dr. Cleo Finch joined ER in 1999 and remained a prominent character up until 2002. Taking on the new role as a pediatric fellow at County, she had a hard time when she first joined. However, she later developed a relationship with Dr. Peter Benton and often clashed with his ex-wife Carla when she became involved in their son, Reese’s, life. Cleo and Peter remained a couple, regardless of Carla and other problems they faced during their time together before her departure from the hospital. Michele starred at Veronica Porché Ali in the biographical drama film Ali opposite Will Smith, and also filmed alongside Kate Hudson in How to Lose a Guy in 10 Days. She continued to work on television and guest starred on Law & Order: Special Victims Unit, House, and had a recurring role in Gossip Girl. 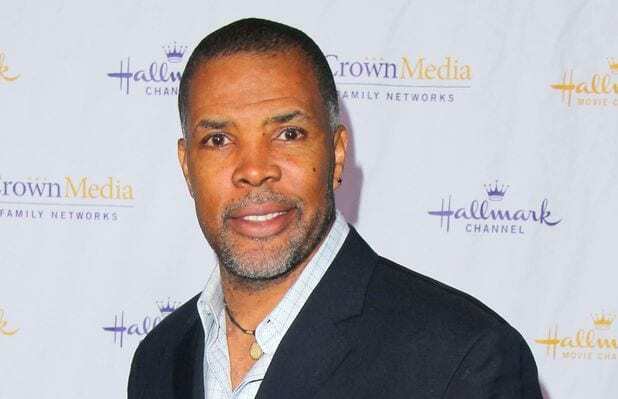 In 2009, she joined forces with her former ER co-star, of whom was her on-screen love interest, Eriq La Salle, when they starred in the Hallmark Channel Film, Relative Stranger. 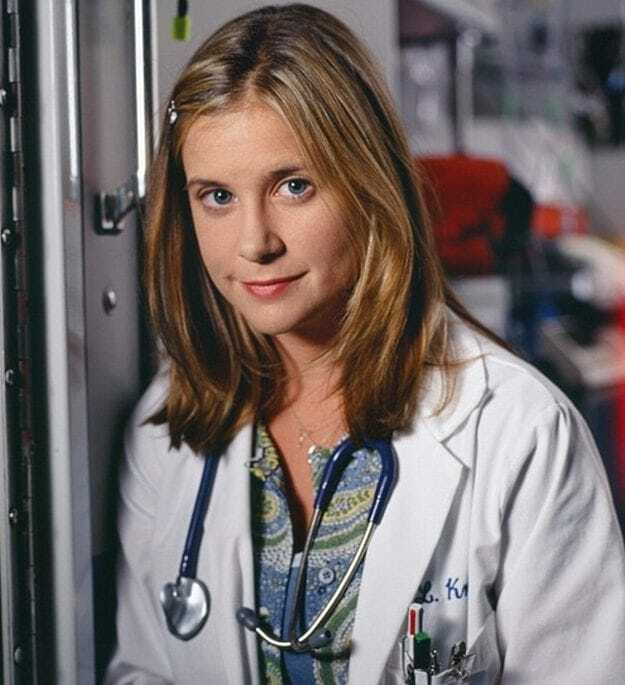 Dr. Anna Del Amico first appears at County General at the end of Season 3, when Maria Bello took on the role as an emergency medicine intern on the series. During her time on the show, throughout Season 4 when she became a series regular, Dr. Anna Del Amico is seen to have some run-ins with Dr. Doug Ross when they clash over their experience as a pediatrician. 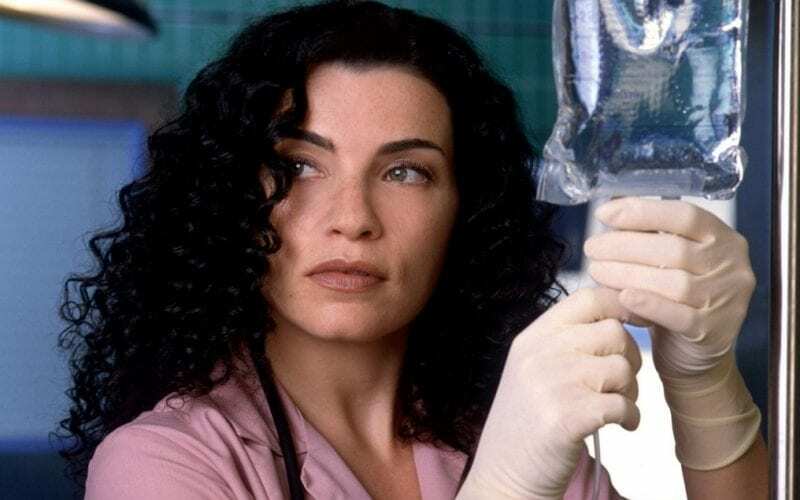 She did, however, form a close bond with Carter, Carol Hathaway, and Elizabeth Corday during her short stint at the hospital. Maria Bello is recognized for her role as Dr. Anna Del Amico on the medical drama ER, but she has starred in other hit TV series and films throughout her career. Her film roles include Permanent Midnight, Payback, Coyote Ugly, The Mummy: Tomb of the Dragon Emperor, and Lights Out. Bello also starred as Lucy Robbins on the series, Touch, in 2013, and starred in the series Goliath as Michelle McBride in 2016. Since 2017, she has played the role of Special Agent Jacqueline ‘Jack’ Sloane on the series, NCIS. 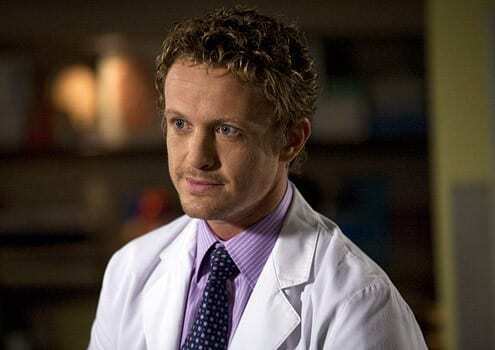 David Lyons joined the cast of ER as Dr. Simon Brenner at the end of Season 14 and became a series regular for the 15th and final series of the medical drama. Brenner was known to be quite the womanizer, often charming many of the ladies with his Australian accent. However, just like many of the doctors that came and went through the County General doors, Brenner fell for Dr. Neela Rasgotra. Meanwhile, Brenner was caught up in a love triangle with her and Ray, and their love was not to last. As well as playing Dr. Simon Brenner on ER, Lyons is well known for his roles as Josh Holiday in the Nine Network navy drama, Sea Patrol, and as General Sebastian Monroe in the post-apocalyptic drama, Revolution. 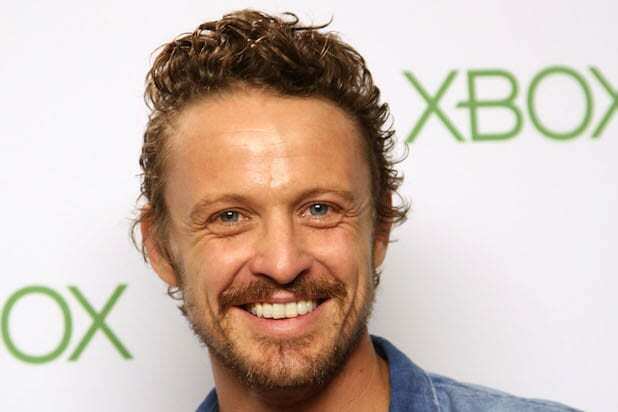 As well as TV, Lyons has had roles in films and appeared alongside Julia Roberts in Eat Pray Love, and in the film adaptation of Nicolas Sparks novel, Safe Haven. Most recently, he starred in the 2018 Netflix series, Seven Seconds, where he played Mike Diangelo. Dr. Angela Hicks arrived in the Season One episode “Blizzard” when she had to start working immediately due to the influx of people injured from the blizzard. From 1994 to 1997, Dr. Hicks was seen giving Benton and Carter regular advice, and when they both left her team, Dr. Hicks was suddenly gone. John Carter left her team to work in Emergency Medicine, and Peter Benton went to join Romano’s team. Her absence was never explained, but her locker remained seen in the background for years after her last appearance. 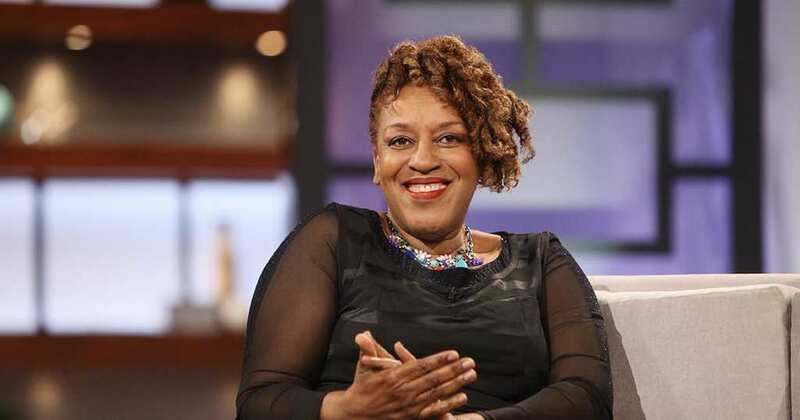 Carol Christine Hilaria Pounder, known professionally as CCH Pounder, has appeared in many films and notable television shows. She starred as Detective Claudette Wyms in the FX police drama, The Shield, from 2002 to 2008 and, the following year, appeared as Mo’at in the box-office hit, Avatar. While she is set to film in the sequel of the film, she has stayed busy working. 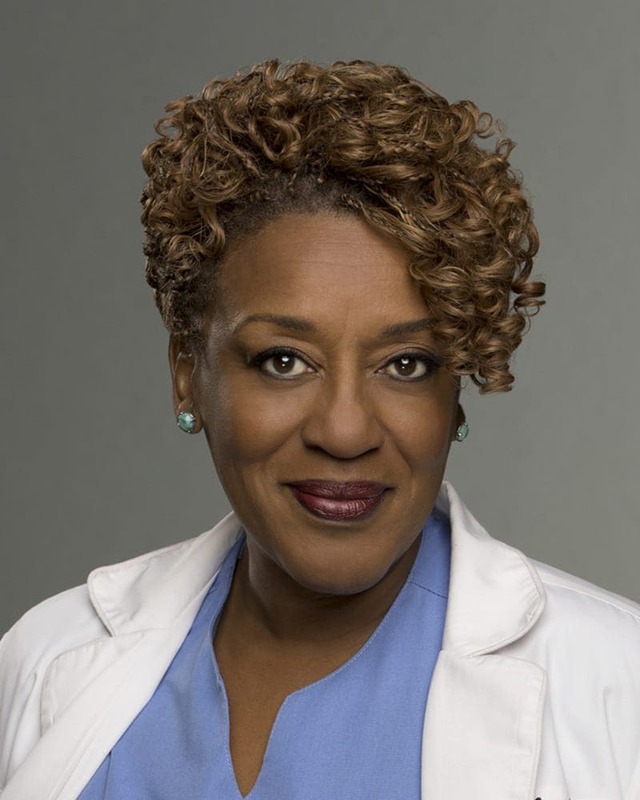 She starred in the series, Warehouse 13 until 2014 and, that same year, took on the role of medical examiner, Dr. Loretta Wade, on NCIS: New Orleans. Dr. Robert Romano was not a favorite amongst the staff in County General Hospital, and the Chief of ER often got into disputes with the other doctors and nurses. 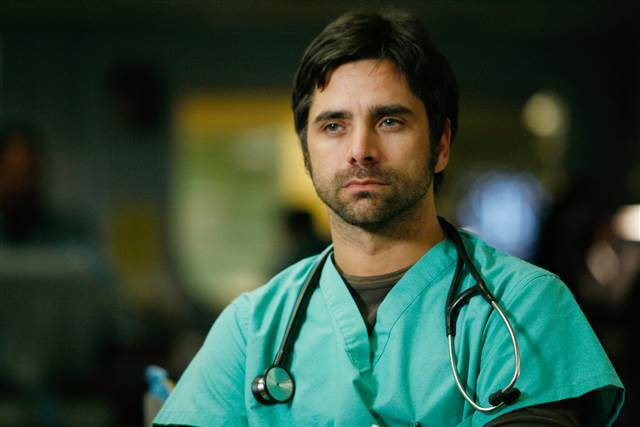 He did develop a soft spot for Lucy Knight, however, and after she was stabbed by a schizophrenic patient and later died, Romano becomes visibly upset and in denial that he can save her. Romano’s life ended in the same ER after he was killed when a helicopter fell off the roof and landed on him. 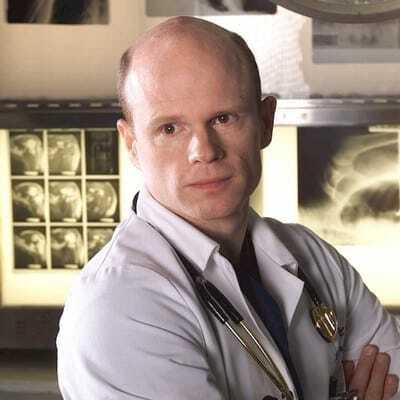 Following his characters abrupt death in season 10, Paul McCrane focused on being behind the camera and directed multiple episodes of ER. He did still work as an actor, and following his stint on ER, he guest starred on shows such as 24, Ugly Betty, and CSI: Crime Scene Investigation. In 2011, McCrane took on the role of Assistant District Attorney, Josh Peyton, in the NBC show, Harry’s Law. This role won the actor the 2011 Emmy Award for Guest Actor in a Drama Series. Dr. Jing-Mei Chen arrives at General County as an eager young medical student but quits soon after because she almost killed a man by trying to insert a central line into his chest. Consequently, she suffers a crisis of career early on in her studies and leaves the ER. She returns four years later as a medical resident and reveals her decision to get back into medicine happened after she saved a man on the subway. She eventually became Chief Resident of the ER. Wen was cast as a series regular in the Stargate Universe television series, where she played Camile Wray from 2009 to 2011. She was also cast as Agent Melinda May in the drama series, Agents of S.H.I.E.L.D. and will work alongside her co-star Chloe Benett when she voices Hala the Accuser in the new animation film, Marvel Rising: Secret Warriors in 2018. Her previous voiceover work was as the title character in the hit Disney film, Mulan and it’s sequel film, Mulan II. When Dr. Tony Gates joined County General, it was not long until he was involved in a love triangle with Neela and Ray. However, it was unknown to the hospital staff, including Neela, that Tony was living with his deceased best friends wife, Meg, with whom he would have intimate relations with. Tony was also very close with Meg’s daughter, Sarah, and he became her guardian when Meg died from an intentional overdose of medication. At a later date, he and Sarah move in with Sam and Alex. After playing Dr. Tony Gates till the fifteenth series, and final episode on the medical drama, Stamos went onto play the role of Albert in Bye Bye Birdie on Broadway. He also played the lead character in the Fox sitcom, Grandfathered from 2015 to 2016. As of 2016, he became the executive producer for the Netflix series, Fuller House. 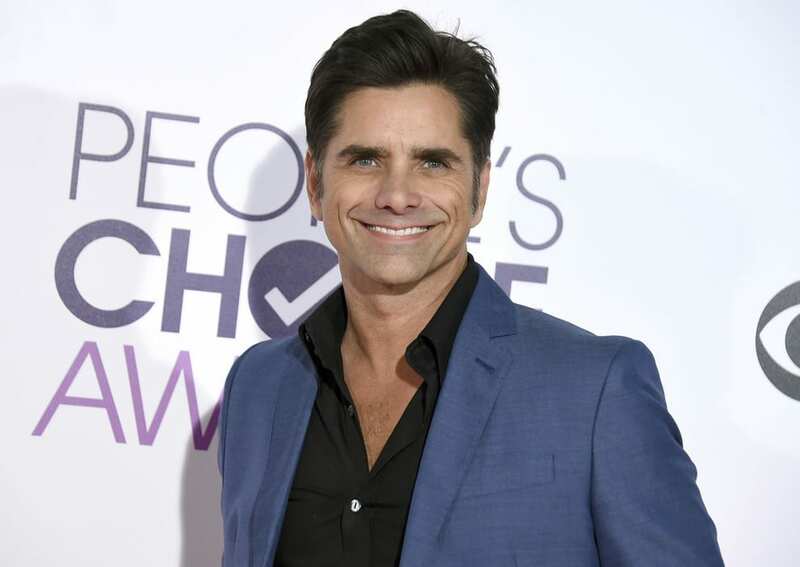 Stamos also occasionally reprises his former role of Jess Katsopolis on the show, a character he played from 1987-1995 on the successful show Full House.